2. The iPhone 5C Home Button replacement can support all the basic functions except for unlocking the iPhone with fingerprint. 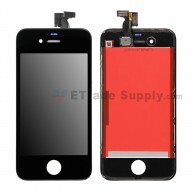 ● This item includes the iPhone 5C LCD screen and digitizer assembly, the frame and the home button. ● This iPhone 5C LCD assembly replacement part consists of the LCD Screen and digitizer touch screen and front glass already attached. 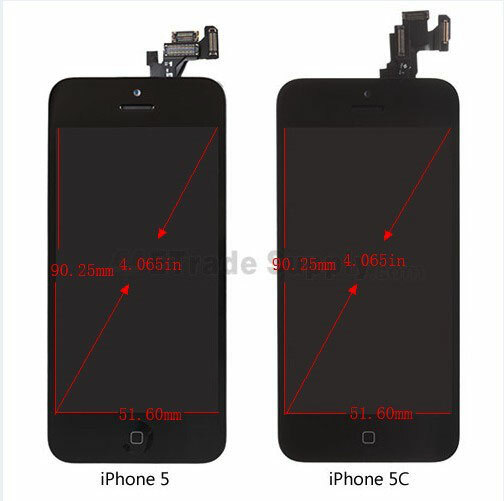 From the display screen, we can see the iPhone 5C and iPhone 5 share the same dimensions: 90.25mm long and 51.60mm wide. 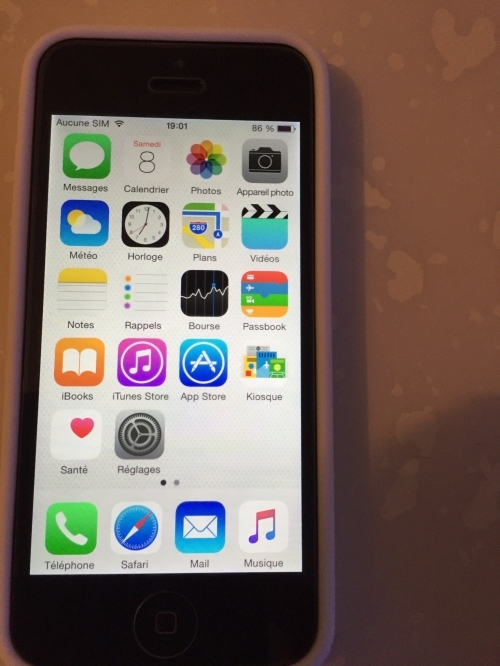 Both iPhone 5C and 5 include the same 4-inch Retina display with 326 ppi pixel density. 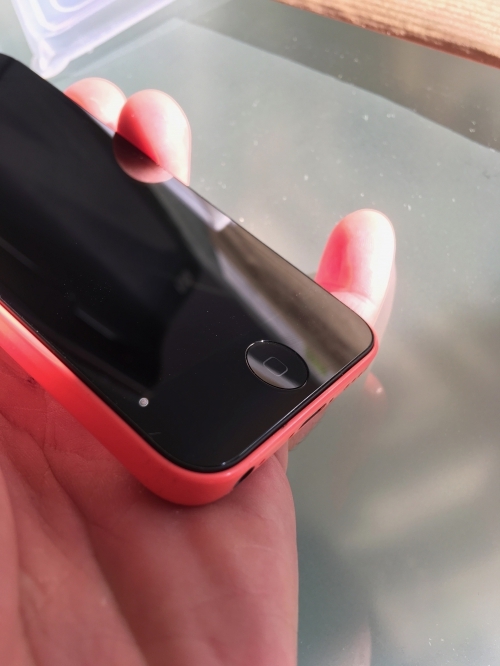 The iPhone 5C display remains the same material used on the iPhone 5 LCD assembly: LED-backlit IPS LCD, capacitive touchscreen. Judging from the back side of the LCD screen assembly, the iPhone 5C display assembly appears to have a longer flex cable than the iPhone 5 display assembly. And the iPhone 5 flex cable ribbon and connector shape changes slightly. 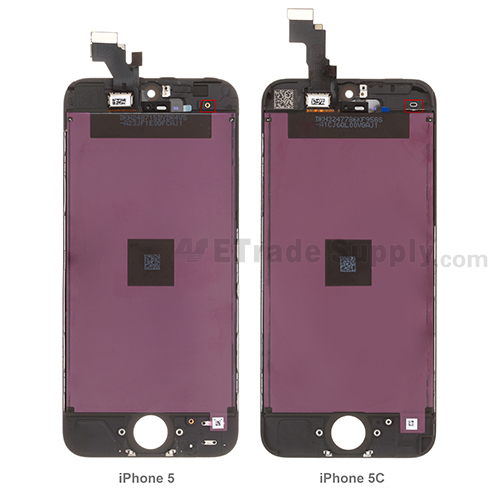 As for the above-mentioned photos, it can be concluded that the front side of iPhone 5C LCD assembly keeps the same design as the iPhone 5 LCD assembly, except that the flex cable and the back sensor. 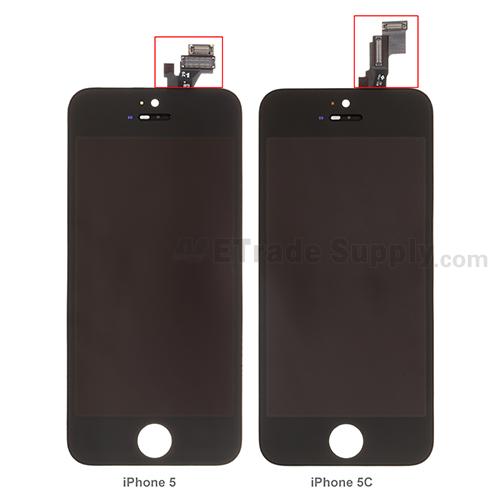 The LCD screen assembly cable of the iPhone 5C is a little longer, connector shape is slightly redesigned and include a sensor hole on the back side of the LCD screen assembly. ● These parts are hermetically attached; special tooling is required for assembly or disassembly. ● The installation of the iPhone 5C LCD screen and digitizer assembly with frame and home button should be done by a qualified person. ETS is not responsible for any damage caused during installation. Screen and all the small parts work great and the fit is good. Easy to install, works perfectly and no background light issues ! Fits just fine. Thank you. Product was just as described screen worked great but one issue was the home button didn't function. Luckily i had the home button from the previous screen and just swapped it out and it worked fine! 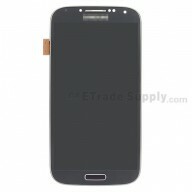 I'm sure i could have gotten a new one from ETS but i needed to fix the phone asap and did not want to wait.